Formerly known as United States Cleaning Company, our company has grown strictly through recommendations over the years. We have proudly been cleaning the homes of some for 15+ years and in some cases, we clean the homes of multiple generations of a single family. Since 1993, we have been priding ourselves on exceeding customer expectations with the caliber of our cleaning. We understand that not all homes or people are alike so therefore we alter our services to meet our customers’ needs, wants, and budget. After years of research and practice, we believe our pricing is lower than the competition and have customer testimonials to back this assumption. Unlike other companies, we do not charge on a per-hour basis. Our customers never have to worry about paying extra for a cleaning that goes over a budgeted time. 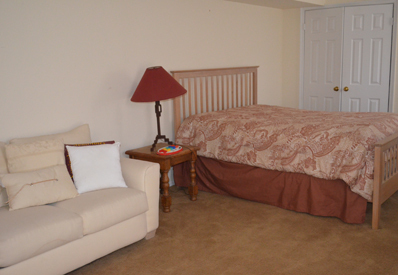 We are highly attentive, accommodating, and extremely meticulous about our cleaning. We emphasize the importance of being detail-oriented to our cleaners and show it with the services we perform. We use our own chemicals and equipment. Pets are not an issue at all. For all cleaning services, the Initial Deep Clean Service will be priced higher due to the cleaning crew’s unfamiliarity with the home and the extra time needed to get the home up-to-speed with our high standard of cleanliness. Okay, so why choose The Cleaning Ladies for your residential cleaning needs? The Cleaning Ladies pay attention to the details, cleaning your home the way you would, if you had that extra time. Our Residential Cleaning service helps balance work and life priorities by giving you more time. Busy individuals, active seniors, and many other time-deprived people just like you trust The Cleaning Ladies for professional cleaning services that leave them more time to spend with family, friends and partake in their favorite activities. We have the people and the processes that promote good and reliable communication to, from, and between our cleaners and customers. When you entrust us with caring for your home, you impart a great level of respect to us. We, in return, respect your wishes, your privacy, and work hard to accommodate your requests. The respect you place in us as a company and as individuals is valuable. That is why customer satisfaction is crucial for us and we check in with our customers regularly to ensure that expectations are not only being met, but exceeded. Our promise to you is to clean your home and treat it as if it were our own. Our team of cleaners have been carefully chosen and only the most trusting, meticulous, and dedicated individuals are chosen to be a part of the The Cleaning Ladies. We all rely on our ovens to help us make delicious meals in the kitchen. But even with the utmost care, ovens still need to be cleaned regularly to avoid any possible dangers. 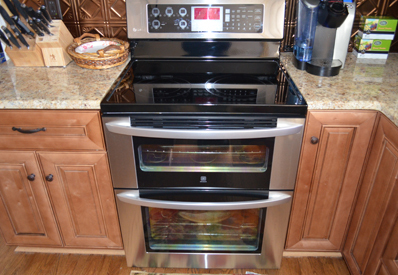 Allow us to care for your oven on your next cleaning visit. Your refrigerator is one of the hardest working appliances in your home and is often prone to getting real messy, real fast. It’s subject to spills, odors, and overcrowding. 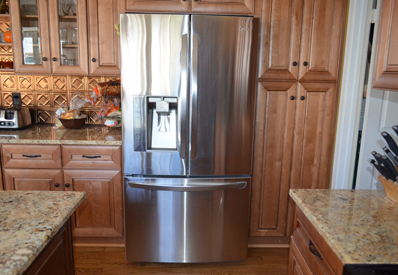 A clean refrigerator promises to keep food fresher and healthier for all. The Cleaning Ladies get the job done when it comes to maintaining the cleanliness of this kitchen workhorse. Fireplaces are an important part of a home and must be maintained just like everything else in your home to prevent allergies and illnesses like black lung disease caused by unwanted soot buildup. The Cleaning Ladies will vacuum or dust the hearth area to remove any dust or soot buildup. 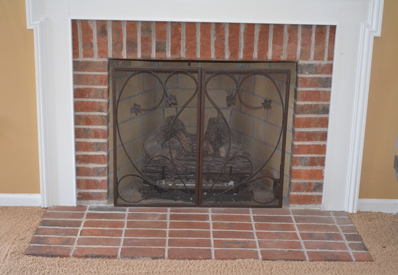 We are careful to never use any abrasive cleanser inside the fireplace because many leave a flammable residue. Contact us today for additional details.